In the next few days I will be looking at the trades that fell through at the 2016 trade deadline and what rumoured deals could still end up happening this offseason. The Bruins did some shopping at the 2016 trade deadline, acquiring John-Michael Liles and Lee Stempniak. But the bigger storyline might have been the fact that pending UFA Loui Eriksson stayed put. The Wild, Islanders, Blues and Ducks are rumoured to have pushed for Eriksson right up the 3 pm ET deadline, but the Bruins obviously weren't satisfied with what was offered. The Sabres weren't too busy at the deadline but did make a pair of minor deals, shipping off pending UFA winger Jamie McGinn and sending away Phil Varone in a minor multi-player deal with the Senators. Rumours surfaced that the Sabres were trying to trade Tyler Ennis (who is injured) and pending UFA goalie Chad Johnson, but neither came to fruition. Ennis is likely to garner interest in the offseason. The Red Wings entered the last few days with not much cap space to work with. They were able to deal Jakub Kindl's contract to the Panthers, but still couldn't make up the room to do anything big. A rumour was out there that the Red Wings were shopping defenseman Brendan Smith. The Panthers were busy this deadline, acquiring wingers Jiri Hudler and Teddy Purcell and defenseman Jakub Kindl. Rumours surfaced that the Panthers were keenly interested in Jets winger Andrew Ladd, but the Blackhawks struck first. Pending RFA winger Brandon Pirri was shipped away for a 6th rounder, a symptom of a rental market that had collapsed by February 29th. 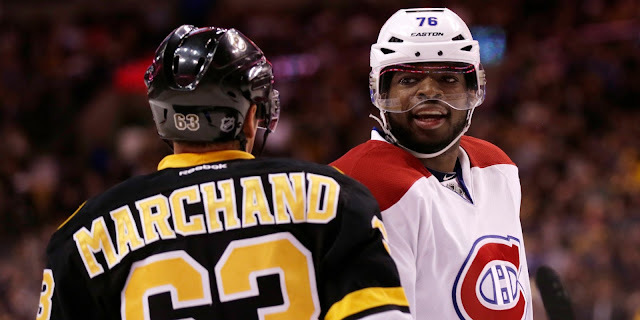 Rumours swirled around the Canadiens as the deadline approached. 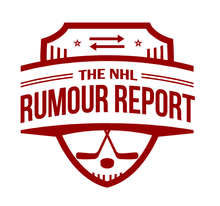 PK Subban, Max Pacioretty, Alex Galchenyuk were the primary focal points of the rumour mill, although probably none of them were seriously in play. Instead, the Habs shipped off pending UFAs Dale Weise and Tomas Fleischmann and Devante Smith-Pelly for picks and prospects. Lars Eller and Alexei Emelin also surfaced in rumours, but both stayed put. After acquiring Dion Phaneuf in a massive 9 player blockbuster on February 9th, the Senators mostly stood pat at the deadline. Shane Prince was dealt to the Islanders for a pick, and the Sens made a multiplayer minor league deal with the Sabres. The Senators were among the teams chasing Jonathan Drouin, and will continue to do so in the offseason. Rumours were out there that the Sens were shopping pending RFA Patrick Wiercioch as well. GM Bryan Murray made it clear that he was after a center on deadline day, but settled post-deadline for veteran Scott Gomez who was having a good season in the AHL. Tampa Bay Lightning: what's next for Drouin? The trade deadline has come and passed and Jonathan Drouin is still property of the Tampa Bay Lightning. Who came close to acquiring him this past Monday, and who are the frontrunners this summer? It's believed the Anaheim Ducks and the Ottawa Senators pushed the hardest on Monday to acquire Drouin. The Flyers were a team that jumped into the mix at some point that weekend. No team was told they were close to a deal, making it hard to know who will be the frontrunner in the summer. Expect the Blues and Red Wings to jump back into the mix this summer. Those are two teams that would have had interest were it not for cap constraints. The Lightning tried to package overpaid defenseman Matt Carle with any Drouin deal, something teams just weren't able to do at the deadline. No surprise: Steven Stamkos remains a member of the Lightning organization as the team prepares for a run at the Cup. Very little to report here as talks will likely continue into the offseason at this point. The Lightning are also rumoured to have shopped winger Erik Condra at the deadline. The Maple Leafs may have done nothing on February 29th, but that's because nearly all of their top assets had been traded prior. The Leafs sent Dion Phaneuf, James Reimer, Roman Polak, Daniel Winnik, Shawn Matthias, Nick Spaling and a handful of AHL players packing for picks and prospects. They were unable to deal P.A. Parenteau, Michael Grabner or Brad Boyes due to a forward market that caved in quickly on Monday. The Kings are a team that took a look at Parenteau, and the Islanders were rumoured to have some level of interest as well. Rumours that teams called on goalie Jonathan Bernier emerged months ago, but it was very quiet on that front in the days leading up to the deadline. Leo Komarov, Jared Cowen and Nazem Kadri generated some rumour buzz before the deadline as well. The Leafs are rumoured to have explored taking on bad contracts from Carolina, St. Louis and Chicago prior to the deadline. In particular, a Bryan Bickell and a prospect for Jared Cowen was floated out there at some point. The Leafs ended up taking on Brooks Laich's contract from Washington in addition to a pick and prospect.